It’s the moment we’ve all been waiting for: THE OPENING ROUND OF THE NEW SOCALCROSS PRESTIGE SERIES SEASON! It all starts with a doubleheader event this weekend, 9/27-28, with the O’Melveny Cross presented by H&S Bicycles. Head over to O’Melveny Park at 17300 Sesnon Blvd. in Granada Hills for two full days of CX fun, festivities and heart pounding competition. Race start call-ups for this event will be based on the top ten overall series standings from last season, plus riders who were in the top five in their categories and have moved up a class for the new series. After that, call-ups will be based on the order of online registration at BikeReg.com. Please be aware of limited parking at O’Melveny Cross, and that it’s a hundred yards or more from parking to the race course. Car pooling and early arrival is encouraged. New for 2014-15, SoCalCross racers will receive permanent series numbers for the whole season according to category. And if you still have a number from last season, return it for recycling. For your effort, we’ll enter your name is a drawing for some cool sponsor swag. Speaking of new, the race day schedule has been revised (take note, Elite A Men and Women), plus the Men’s C/Beginner class is being broken into AM and PM events limited to 50 riders each to give everyone an opportunity to compete. This whole weekend, SoCalCross is proud to partner with and advocate the Los Angeles County Bicycle Coalition. Get yourself a specially priced annual membership; 10-race VIP Pass Holders will get theirs for FREE! Are you looking for a way to get into cyclocross for the first time, or want to sharpen the CX skills you already have? Then you’ll want to look into the SoCalCross Happy Hour Tour. We’ve teamed up with a number of experienced, supportive local bike shops to assist with a fun, low-pressure introduction to the sport. Next Wednesday, 10/1, it’s Empire Bikes in Monrovia. On Sunday, 10/5, join for a Family Style CX clinic at Irvine Regional Park. The Mob Shop in Ojai plays host with a Clinic & Brew on Thursday, 10/9. As always, this series could not take place without the enthusiastic and dedicated support of cycling clubs, shops and businesses. This year’s key sponsors include Voler Team Apparel, Jenson USA, Knobbe Martens, TRP Brakes, American Classic, Union Sport, L.A. Bicycle Attorney, Squareone, Montrose Bike Shop, H&S Bicycles, Golden Saddle Cyclery, Rock N Road Cyclery, Bike Effect, Centric, The Mob Shop, 10 Speed Coffee, Pedalers Fork, Empire Bikes, Craig Abrams, D.C., SoCalCycling.com, The Bike Shop of Temecula Valley, Orange Bikes, Clif Bar, Road Runner Bags, American Classic, Magic Cycle Werks, Pro Gold, and Velo Allegro. Finally, SoCalCross is proud to be affiliated with several cycling and environmental advocacy groups, including Los Angeles County Bicycle Coalition, Mount Wilson Bicycle Association, the SoCal High School Cycling League, Finish the Ride, Walk Bike Glendale and Bike San Gabriel Valley. To stay fully informed of all the SoCalCross PRESTIGE SERIES activities, be sure to bookmark SoCalCross.org. 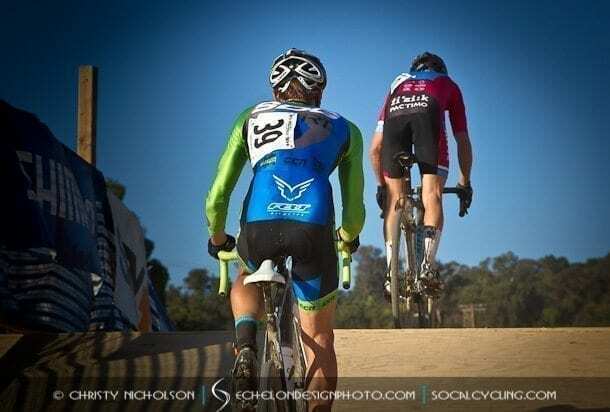 The 2014 / 2015 Cyclocross Calendar is featured on SoCalCycling.com.